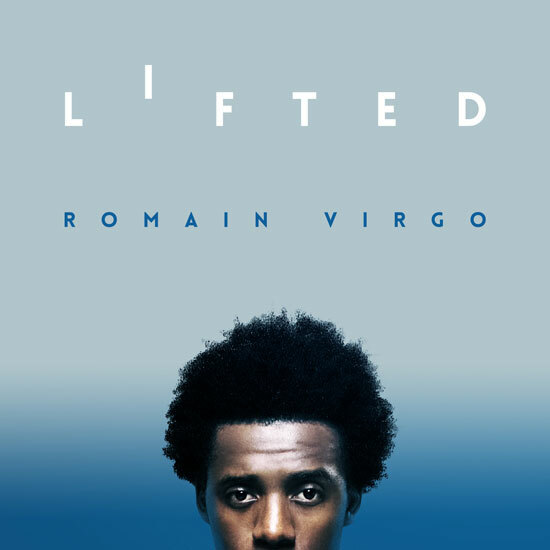 Brand new Riddim out now featuring Romain Virgo Christopher Martin Richie Stephens and many more! Enjoy the vibez! New album by Jamaican modern roots veteran, Lutan Fyah. 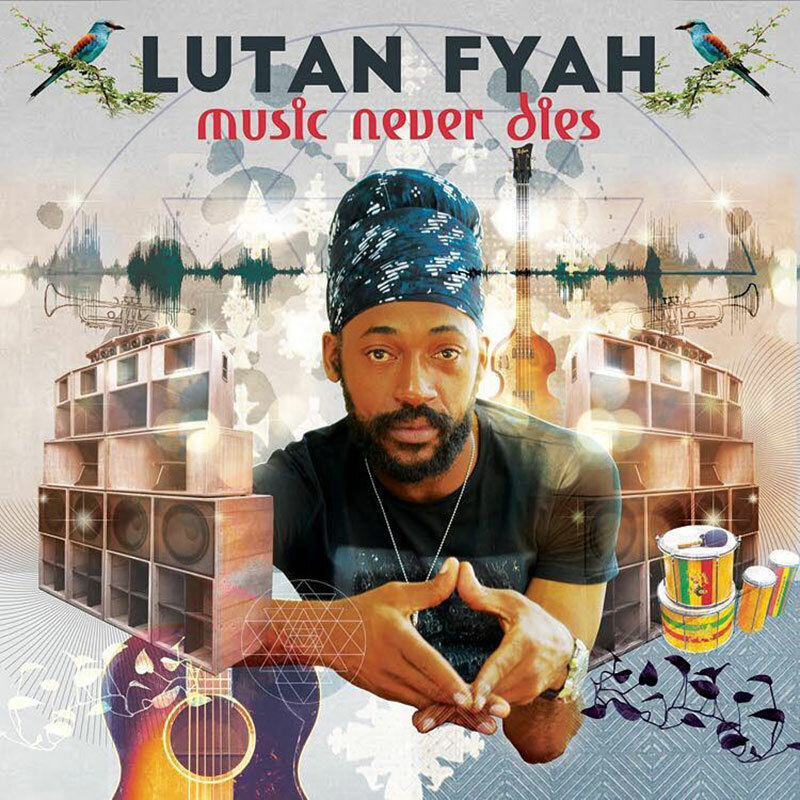 Music Never Dies is Lutan Fyah's 16th album to date and his first with I Grade Records. Four years in the making, Music Never Dies reflects the evolution of both artist and producers. Working with Tippy of Zion I Kings and I Grade Records, Lutan Fyan brings a mature and unique melodic and lyrical approach to this new album that is as heavy as it is musical. ​The album was recorded in both Jamaica and St Croix, using live musicianship. The album features guest appearances by Vaughn Benjamin the Akae Beka(of Midnite band). 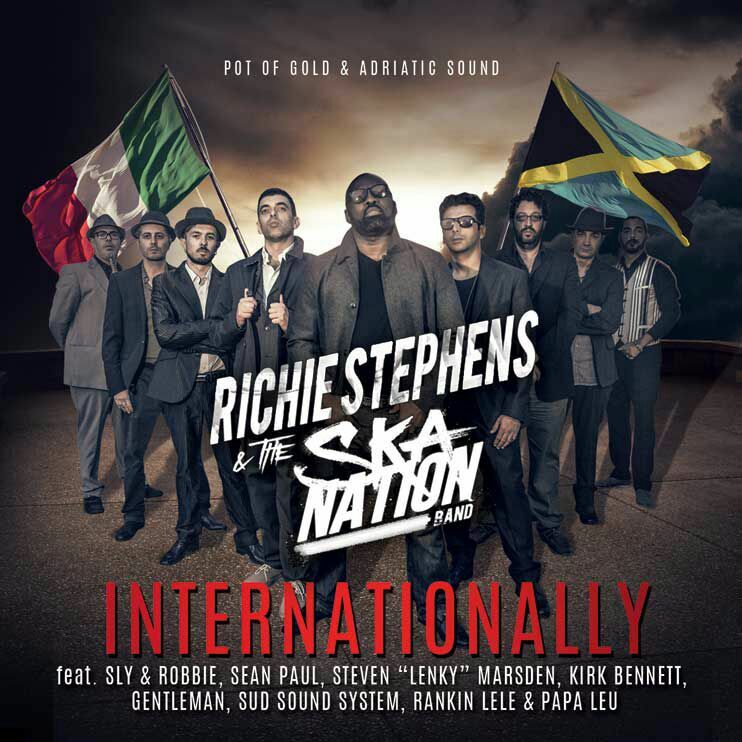 The unstoppeble grammy award jamaican singer and producers Richie Stephens start a great collaboration with the italian reggae singer and producers duo Rankin Lele and Papa Leo, to create a new musical project named Richie Stephens and the Ska Nation Band, between 2015 2016. With his captivating voice and a sound that exhibits his passion from every note, Richie Stephens and SkaNation Band will release their new studio album "Internationally", April 15th (Pot of Gold, Adriatic Sound/Zojak Worldwide). The 14-track album available for pre-order today March 29th is a tribute to Ska. Richie Stephens and the SkaNation band (based out of Italy), came together to create a masterpiece, which listeners can appreciate and become educated at the same time. The album starts with a single title 'Foundation', which mentions some of the Ska greats and states that 'Ska a the original sound, Jamaica's first big music". "I truly think ska music should be preserved and respected by us as Jamaican people for being our first international music" says Richie Stephens. 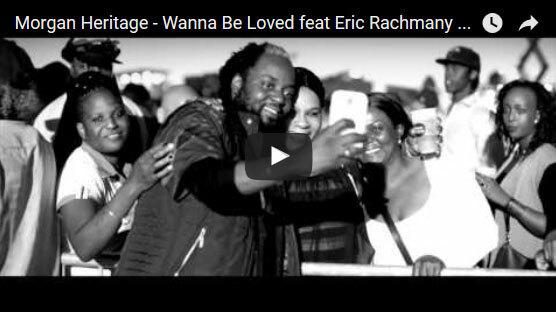 Connecting with the Skanation band, whose name was given to them by Richie Stephens, while in Italy last summer at the Casalabate Festival, the creative bond was instant. The single 'Kingston Salento' shows the connection and love for ska on a global level. With half of the album being completed in Italy and half the album completed in Jamaica, 'Internationally' is also symbolic of the passion and impact ska music have on a broader spectrum. "Ska music is far more loved and respected over seas than in my own country Jamaica" says Richie Stephens. The album 'Internationally' follows a theme genre of Ska and gives listeners an ability to dance as well. Throughout the album Richie Stephens and Skanation band embrace the musical magic of Ska. Bringing to life the message in the song like "Born To Be Great" feat. Sly & Robbie and still giving the listener a feeling of happiness as they sing and dance along. For many music lovers they may view Ska music as 'older reggae music', Richie Stephens and SkaNation band definitely changed that stereotype. With singles like "Original Style" feat. Sean Paul and Gentleman, "Internationally" feat. Sud Sound System or "Everybody Dance" (Remix) there is a youthful tone, which highlights the ability to blend age groups and still highlight the great arrangement and greatness of Ska. Working with some of reggae great musicians on this album like Cleveland "Clevie" Browne, Dean Fraser and Stephen 'Lenky' Marsden, Richie Stephens and SkaNation band created a great body of work. From the musical arrangements to the lyrics, "Internationally" definitely does the music and Ska lovers proud. "I would like every one to listen this album and realize that Ska music is a very serious genre that can stay on top if given the right opportunity like before" says Richie Stephens. 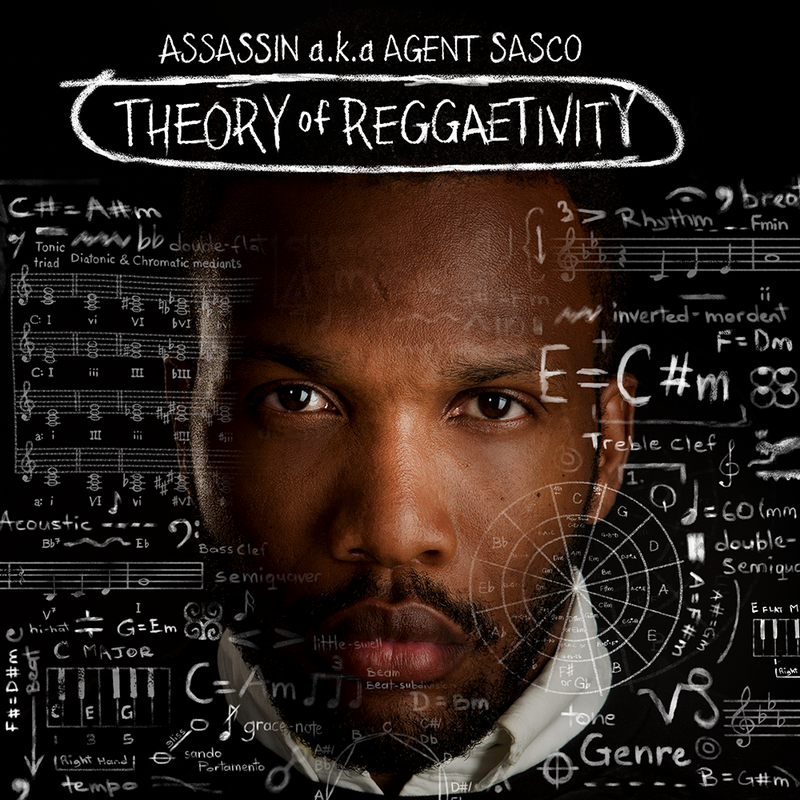 Theory of Reggaetivity is a pivotal album in the discography of Assassin a.k.a. Agent Sasco. For the past 15 years, the Jamaican vocalist has earned credibility through his dense catalogue of dancehall hits (spanning over 300 singles) and more recently for his Hip Hop collaborations (including Kanye West's "I'm In It" and Kendrick Lamar's "The Blacker the Berry"). 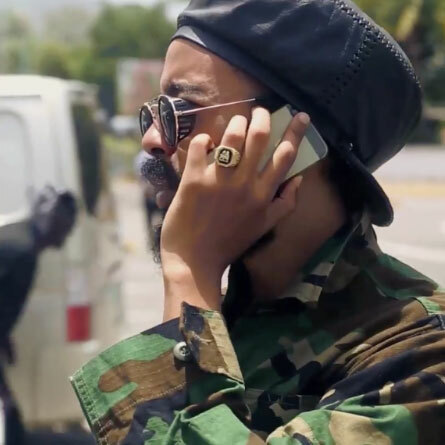 On his new third studio album, the vocalist goes back to dancehall's foundation and expands his reach to Reggae - delivering his most honest record that parallels his maturation over the past 10 years. 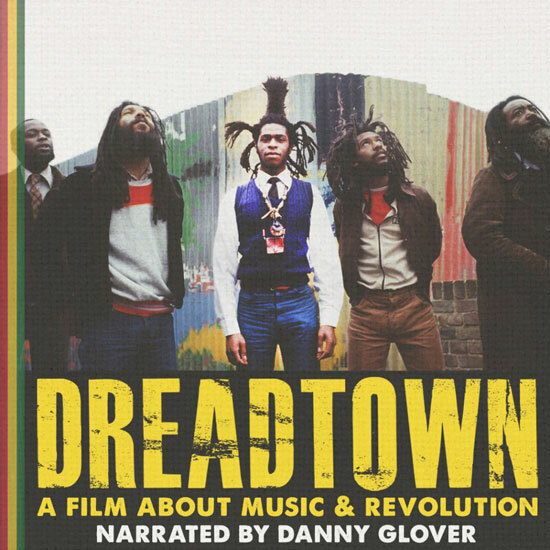 In contrast to Assassin's more Dancehall-driven releases -Infiltration (2005) and Gully Sit’n (2007) - The Theory of Reggaetivity's foundation is purely Reggae. “Theory of Reggaetivity” is my musical study of the principles of Reggae music. What makes Reggae … Reggae? What are the birth marks, the unique, distinguishing characteristics of the music? I like the idea of a theory because it's a supposition, therefore it leaves room for improvements and amendments. Like with all learning it does not propose that one knows all there is to know on the subject and leaves room for expansion,” says Assassin. The album's title, a play on words, makes a nod to Einstein's Theory of Relativity. Setting the tone of the album, the title track and "Reggae Origins" examine the birth of Reggae beyond its pioneers. Assassin's description is more scientific because he questions the possibilities of Reggae playing a role in the Big Bang and the vibration of weather patterns as the building blocks of the genre, which inherently are building blocks of life. 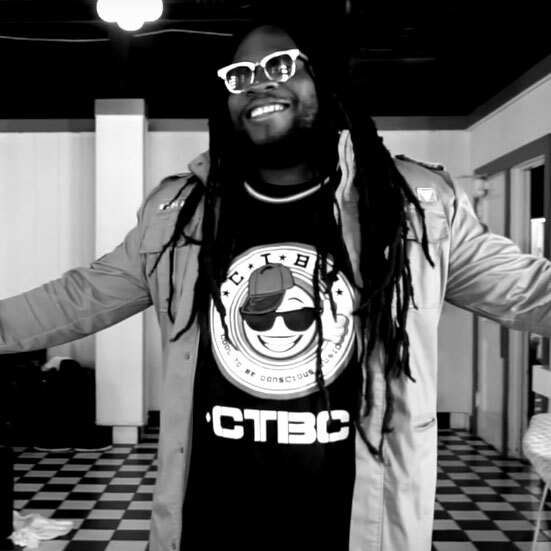 Given Reggae's reputation of being by the people and for the people, he carries the tradition of a messenger by reaching people on a human level, incorporating more live instrumentation and harmonizing than he has done on any of his previous material. Assassin portrays the genre as a complex subject that is not just a medium of expression, but also a soundtrack of motivation ("J.O.B.”), struggle (“Slave No More” feat. 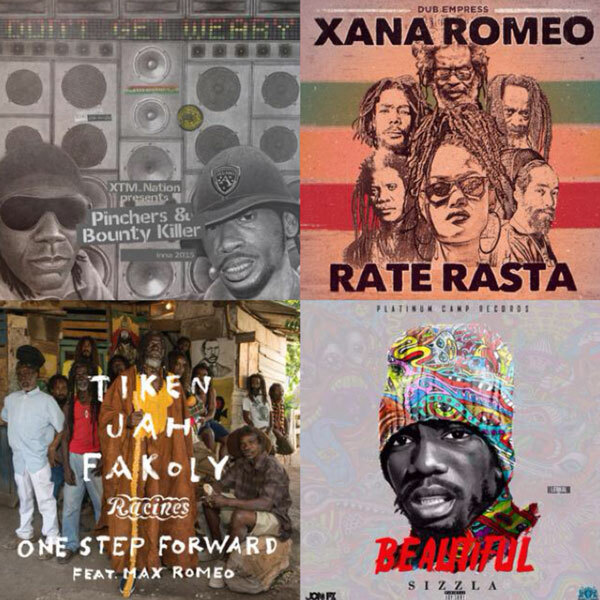 Chronixx), achievement ("Stronger"), love (“Crazy” feat. Elesia Iimura) and celebration ("Feel Highrie"). Assassin, who got his name by annihilating any competition with his lyrical wordplay, also stays true to his crafty lyricism - evident on the album’s first single “Mix Up”. From Los Angeles to New York to Kingston - Assassin recorded the album internationally and worked with a variety of producers like Ranch Entertainment, Unga Barunga, Silly Walks, Chimney, Notice Productions, Protoje’s Diggy British, Theo Butler or Niko Browne to provide a live music texture of heavy One-Drop Riddims and majestic horns, reminiscent of the style pioneered by the genre's legends like Bob Marley, Peter Tosh and Dennis Brown. Assassin also co-produced “Day In Day Out”, “J.O.B.”, "Africa" and "Crazy" under his Sound Age Entertainment." 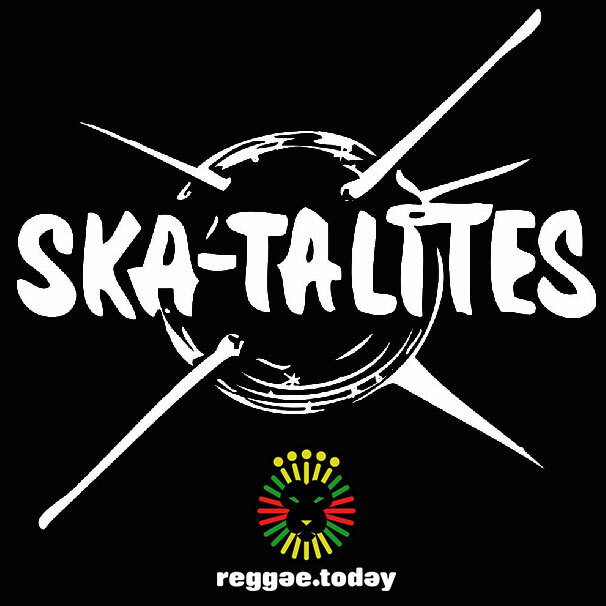 THE SKATALITES @ Reggae.Today (Live show & Interview) Exclusive video interview with The Skatalites during their last tour in Italy. Check it out! After the incredible success of "Welcome Back * Good Reggae Music", REGGAE CALLING is the result of another international project, printed in a real cd in few thousands of copies, released on august 2015 and sold out in only 3 months, but never released on internet until now, because reggae music, at the end, stays in places where a cd still rules in your hands, because no mp3 can’t really satisfy your eyes. 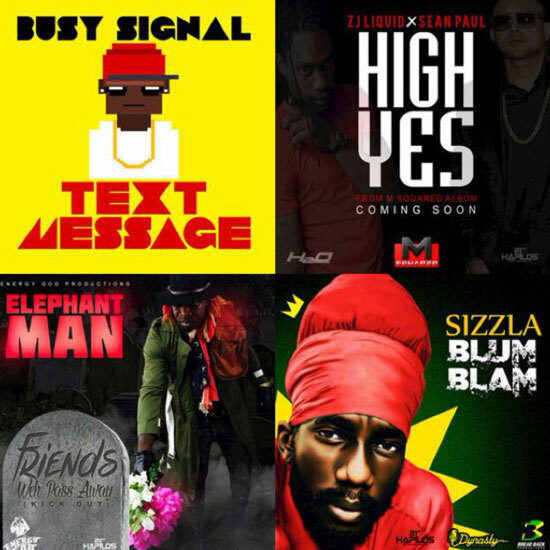 Take a listen of some good reggae songs, mixed and delivered by your favourite sound system now! ENJOY! "Zero" is a 12 tracks album and it marks the debut of Forelock & Arawak, who are starting a new chapter in the italian reggae music. It is produced by Paolo Baldini (sound engineer for Mellow Mood, Dubfiles, Tre allegri ragazzi morti and benchmark for the reggae music in Italy). 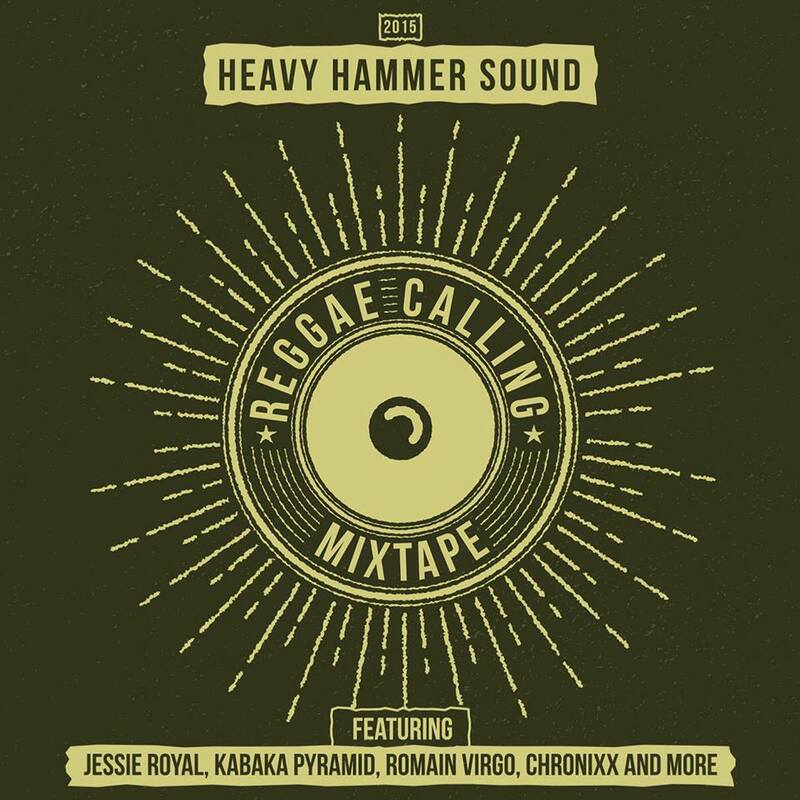 Steel Pulse, Juba Lion and Dennis Bovell are the big artists partecipating in this adventure. The projects is labeled " La Tempesta Dub" , a Tempesta Dischi's sub-label. 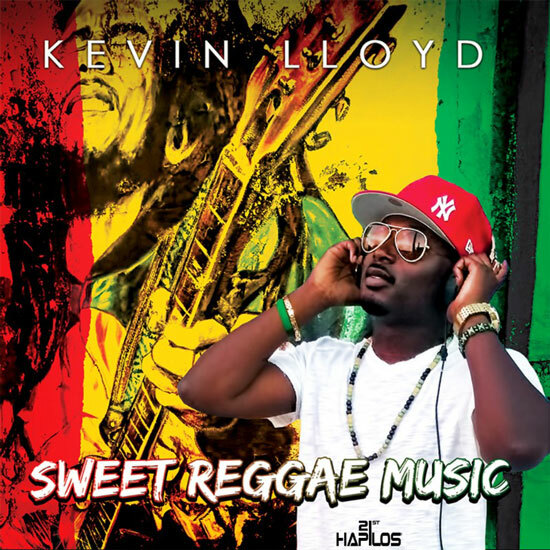 The passion for upbeat music and the celebration of the Jamaican culture are explicied in the seventh track “Raverz", where Arawaks not only arranged a cover of one of the most memorable Steel Pulse's masterpieces, but also involved the singer David Hinds himself. The result is a real reggae party. The real protagonists of the whole album are Forelock's extraordinary vocal skills that come out from the bounderies of the musical genre in songs like "Mother's Blood" or "Global Backfire". This last one rapresents a fierce and harsh criticism of our global system and is also one of the most intense vocal tracks included in "Zero". The album has been anticipated by the single "A Ah Wha We Wait For", another vivid critique to our modern society that is dedicated to those who prefer to stay still instead of opposing. 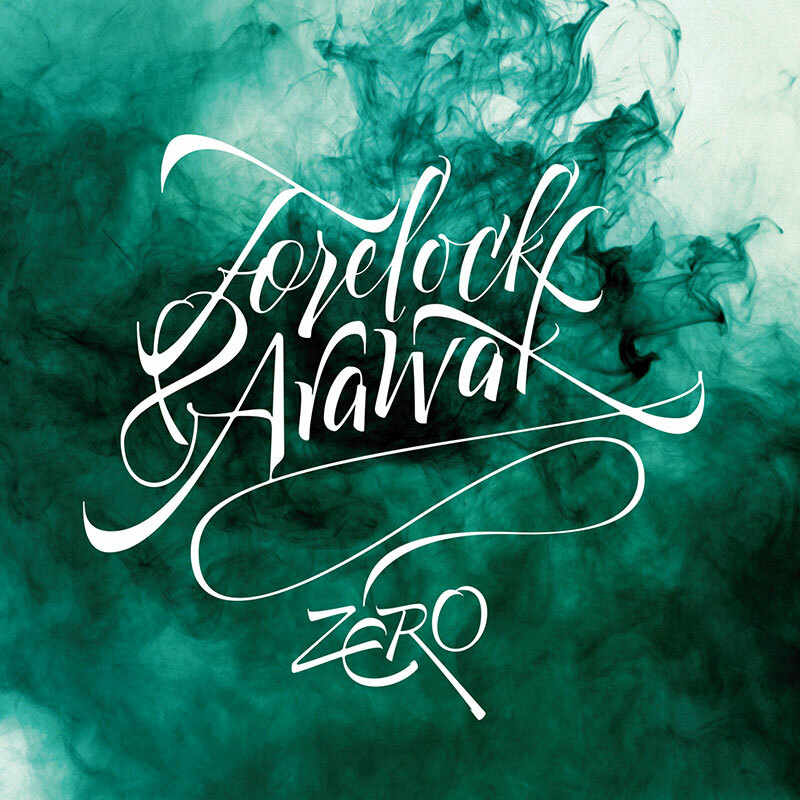 “Zero”, the debut album of Forelock & Arawak, is out now via La Tempesta Dub label. Check it out! 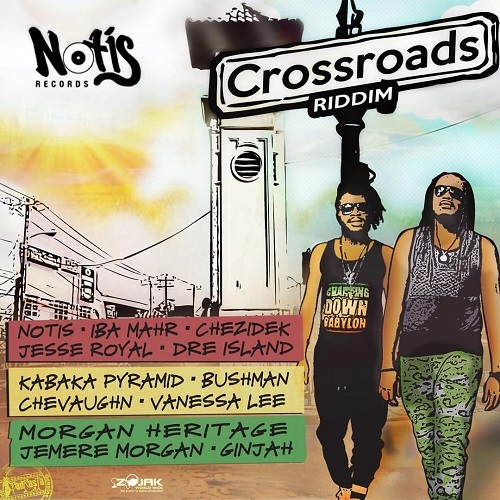 Notis Records presents: Crossroads Riddim featuring Morgan Heritage, Jesse Royal, Kabaka Pyramid, Dre Island, Iba Mahar and many more…check it out!! Megamix by Supersonic Sound...enjoy it! 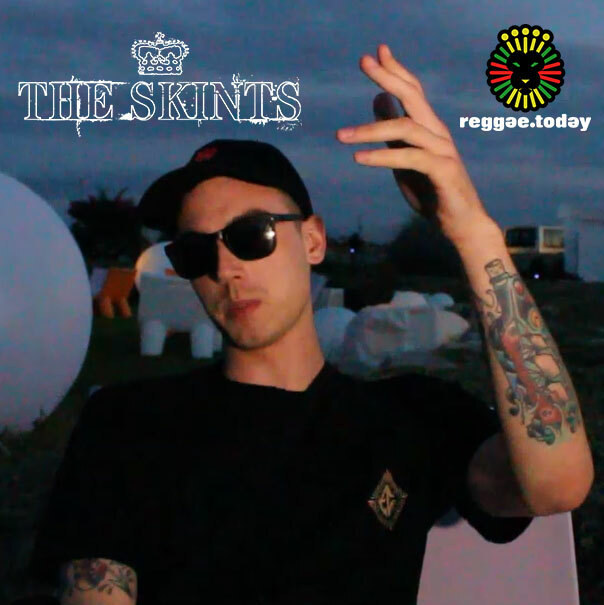 THE SKINTS VIDEO: Exclusive video interview with The Skints during their first tour in Italy...enjoy it! LISTEN UP Steel Pulse Fans. David Hinds joins film director Yoni Gal and Oscar® nominated producer, Mike Lerner, to ask for assistance in finishing the film about Steel Pulse's 40-year legacy. 'Dreadtown' has been in the making for several years and fans have been eagerly awaiting its release. Hours of unseen archive and footage has been discovered and sourced from friends, family and fans of Steel Pulse. We’re just about to step over the finish line, to put the film in cinemas in 2016. But we need your support to do that. 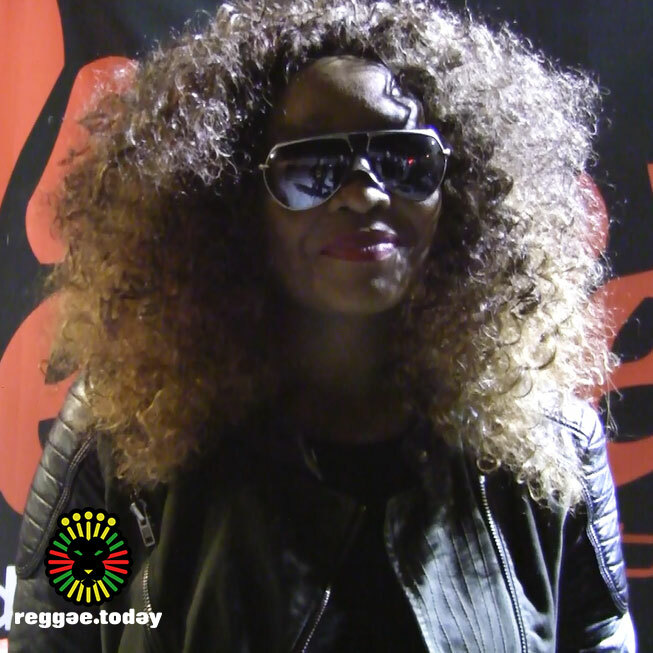 Reggae.Today meets Tanya Stephens in Bari during her new European Tour. Nice performance from the queen of reggae singing all the most famous hits in a row and going out in style with the immortal Bob Marley's Redemption Song. We had a little talk with her right after the show. She told us about how this year 2015 went, and sent a huge Big Up for the italian band Mellow Mood and her dear friend Shuga. Thanks Tanya, you always give us positive energy! 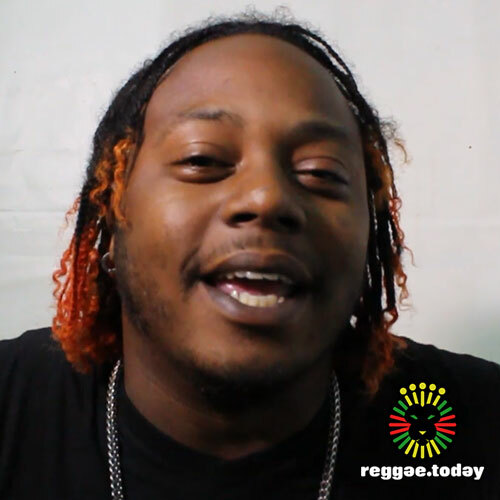 BASS ODYSSEY VIDEO: Exclusive Video Interview with Bass Odyssey @ Reggae.Today (Casalabate Music Festival 2015). Bass Odyssey in Salento told us about the memories of Squingy, the legendary Alexandra, about the djs who performed with this great sound system over the years and the partecipation of Heavy Hammer to the Jamaica Sound Fest 2015. 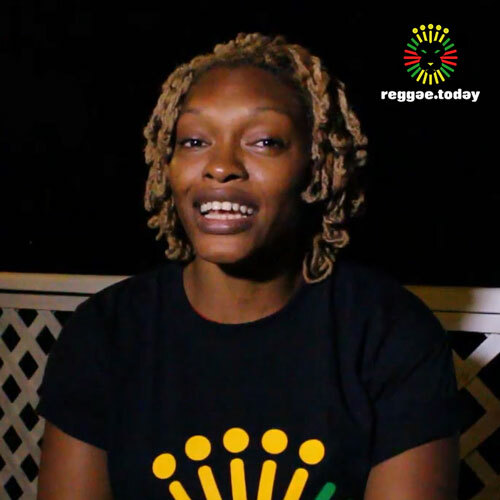 Nice talk with Shuga, wonderful voice on the new reggae scene.She speaks about her musical journey in reggae music and give us some island vibes. Check it out! 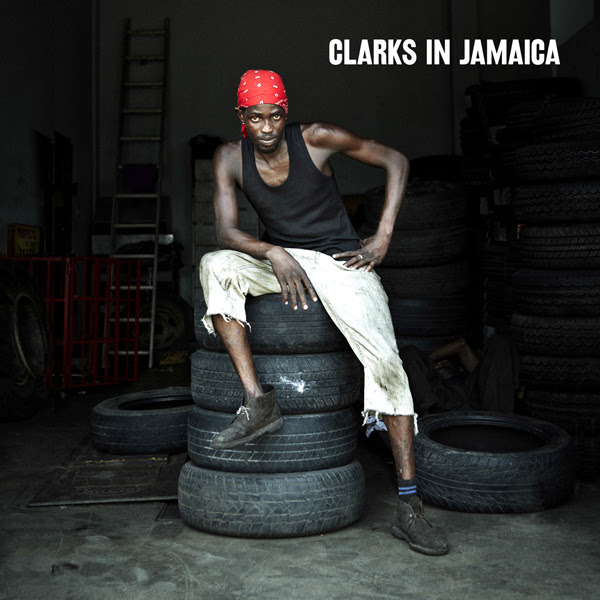 Greensleeves, in conjunction with One Love Books, is proud to present 'Clarks in Jamaica' the album tie-in with Al Fingers' critically acclaimed book of the same name which chronicles the celebrated status of Clarks shoes in Jamaica. Al, who compiled the CD and recently gave a talk on the subject at the V&A says, "Growing up in England I've always been fascinated by the Jamaican love of Clarks shoes and the way the brand is referenced within reggae and dancehall music. Vybz Kartel's tune 'Clarks' brought the phenomenon to many people's attention in 2010, but the relationship goes back a lot longer, and I wanted to bring attention to that, highlighting the work of artists such as Dillinger and Little John who sang about Clarks many years before. 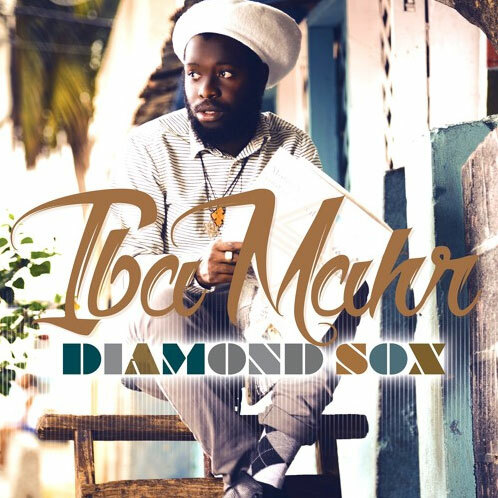 Debut album "Diamond Sox" from Iba Mahr, one of the stars of Jamaica's roots rebirth movement, will be available in stores November 20th. Diamond Sox the album includes the original title track and the remix version of the 2014 YouTube video hit (with over 500,000 views combined.) 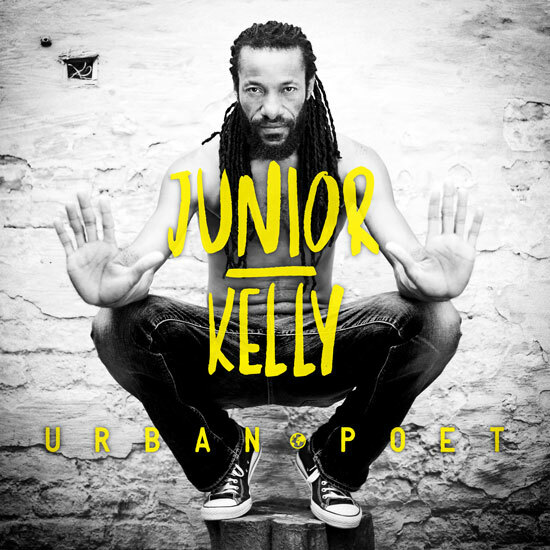 The album features appearances from Tarrus Riley, Jah 9, Jah Mali, Dean Fraser and Capleton. Iba Mahr's successful 2014 -2015 performances at Reggae Sumfest, Rebel Salute, Sting, Western Consciousness, Air Jamaica's Jazz and Blues Festival have made him an in demand live act within the Caribbean, USA and European touring circuit. 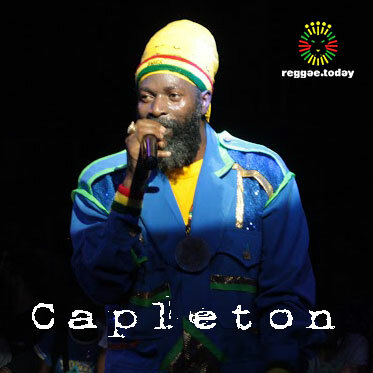 Reggae.Today meets Capleton in Salento, Italy. 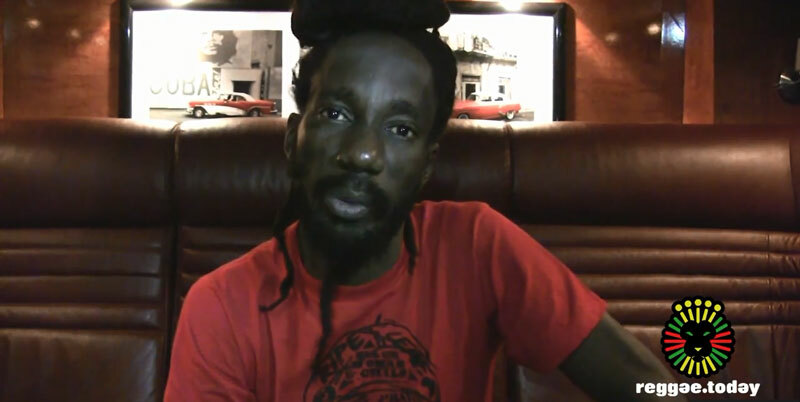 The King of fire speaks about his mission in reggae music and special combo with StephenMarley and Sizzla for Rockstone already a new milestone in the reggae music today. Check it! 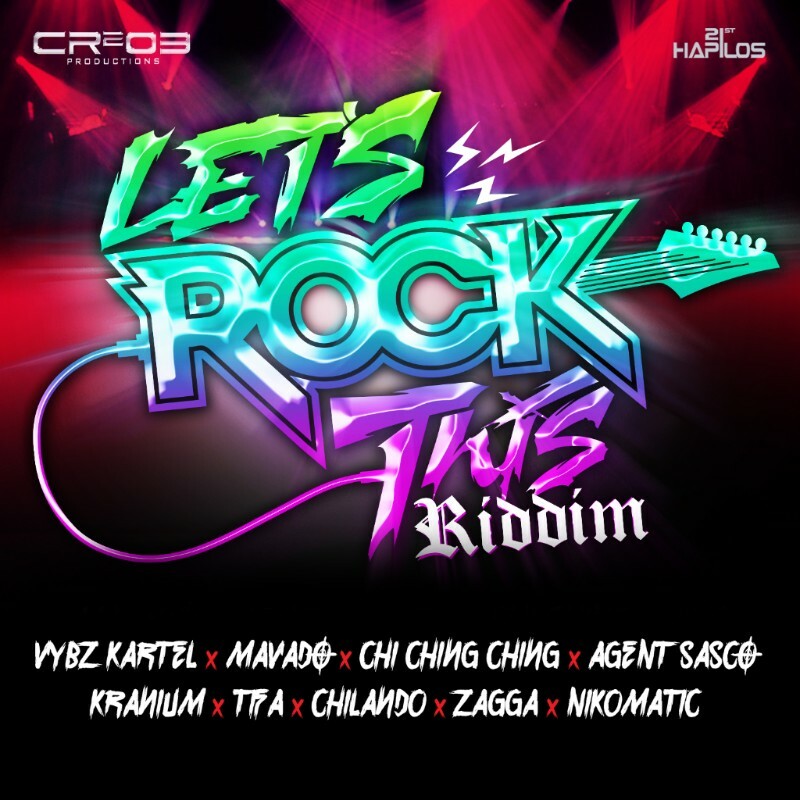 Popular ZJ Chrome's Cr203 Records presents yet another blockbuster riddim with "Let's Rock This Riddim". 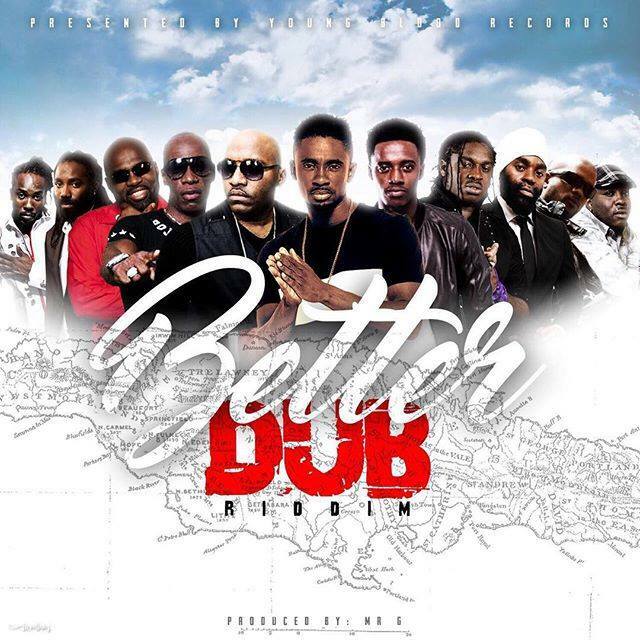 The star studded riddim features international dancehall star Vybz Kartel with "Rock It" featuring Zagga, and "Stop Follow Me Up" featuring ZJ Chrome himself, Mavado with "Shadow", Agent Sasco "Starlights", Tifa "Ratings", Kranium "What We Need", Chilando "Another Man" and Nikomatic with "Dancing Vibes". 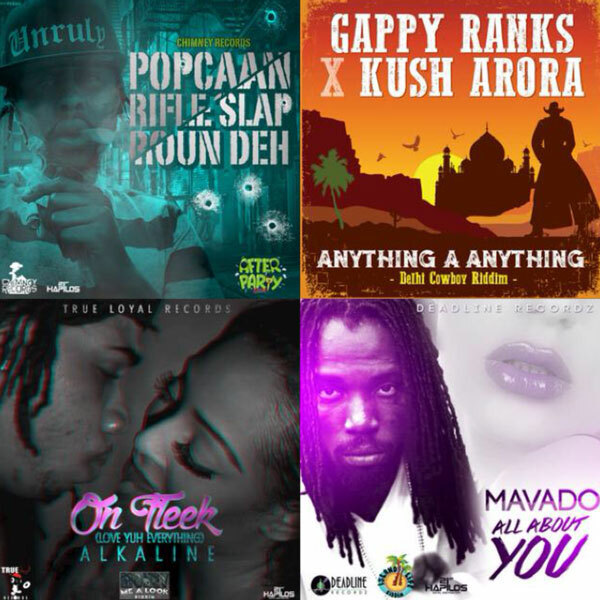 Distributed by 21st Hapilos Digital, "Let's Rock This Riddim" is available on all major online stores such as iTunes. @zjchrome Check it out! 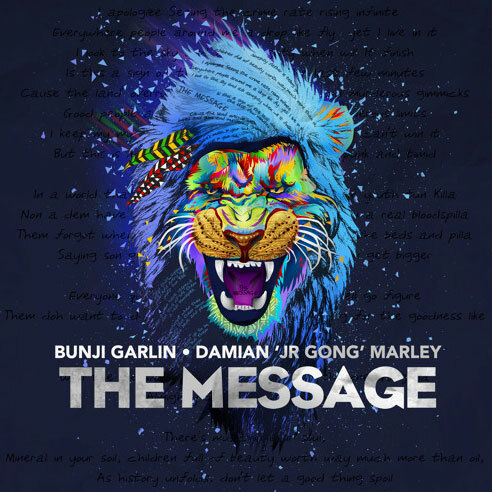 Trinidadian soca star Bunji Garlin and Jamaican Grammy-winning reggae artist Damian "Jr. Gong" Marley team up on "The Message," a passionate forward-thinking song fighting for the souls of our youth and the future generation. Check it! The two Caribbean artists merge soca, dancehall and reggae into a universal sound on this world cry anthem, produced by Philip "Jr. Blender" Meckseper. They go verse for verse addressing society's illls and Marley delivers a powerful hook aspiring for change. "There is music in your soul, minerals in your soil, children full of beauty worth way much more than oil. While history unfolds, don't let the good things spoil, oh no." 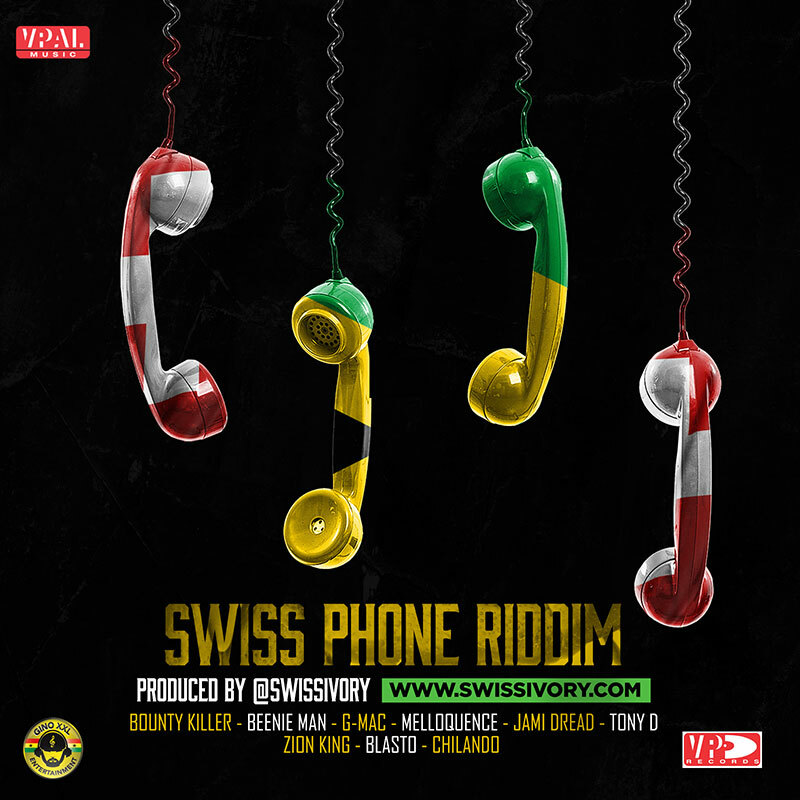 Bunji Garlin gives more insight behind the collaboration. "We recorded this song at Gong's studio in Florida. It was a 4am studio session after we spent about an hour and a half just talking and getting a vibe off of each other's knowledge, views and energies. I appreciate the project and artist because we were able to let both our musical backgrounds work for us to execute this. It is almost a fable to see the son of reggae legend and also a legend in his own right and artist of the soca genre meld so effortlessly." 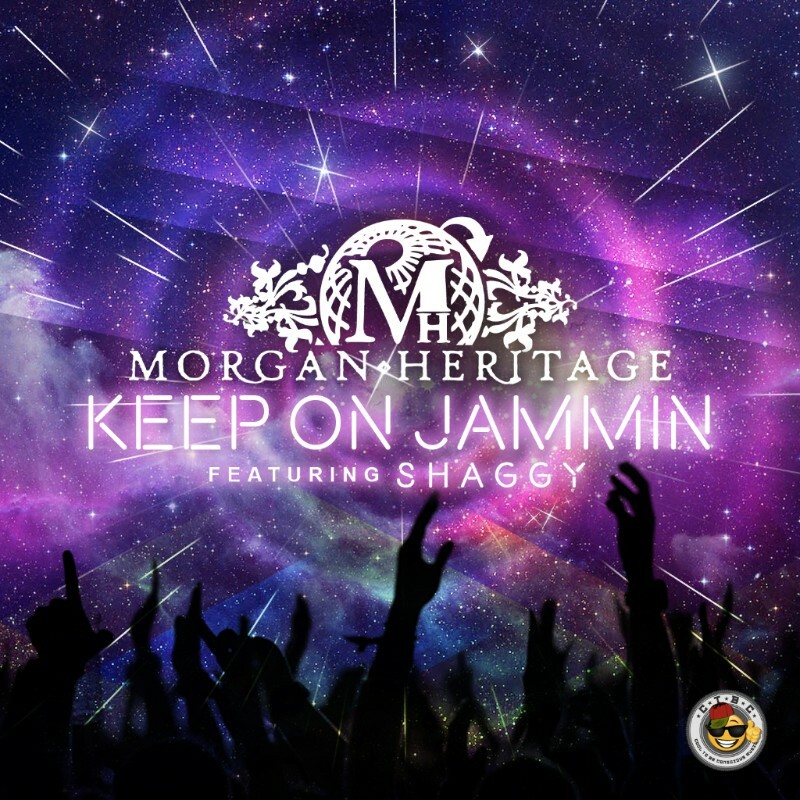 Marley is slated to perform in Garlin's homeland on October 30th, 2015 in Tobago at Pigeon Point (Colours Of Reggae) and October 31st, 2015 in Trinidad at Hasley Crawford Stadium (Reggae On The Bay Presents Hennessy Artistry).